Well considered and constructed details and interior design can be what separates good architecture from great architecture. Whether it be a perfect Kitchen layout, a beautiful water feature or a finely detailed front door, these sometimes subtle details are often what gives a real sense of quality and beauty to a project and can be used to create a common architectural language or motif to a building giving it a cohesive and timeless endurance. 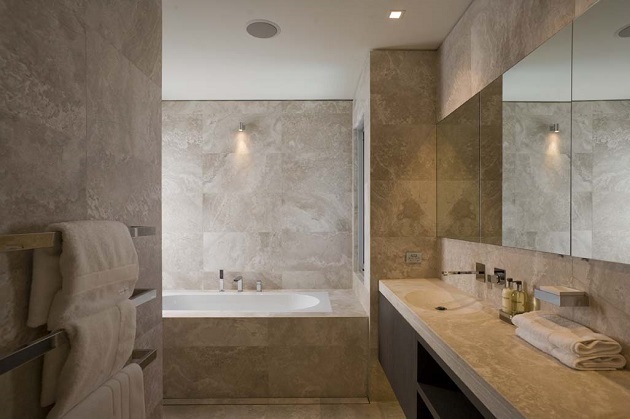 Bathrooms can be statements of creative flair where a range of beautiful materials such as natural stones, glass and timber interact to give a feeling of luxury, comfort, space or tranquility. Our bathrooms are custom designed spaces often with specially designed joinery and those extra little details which create a luxurious feel and timelessness. So much more happens in the kitchen than simply preparing food. Kitchens are the meeting places for family and friends, a central hub in a busy home. This means the functionality and comfort of the space need to be well considered. From minimalist to traditionally styled kitchens, and everything in between, our brief is to listen to your needs and match the design to your requirements and your vision. The goal is a kitchen that is a joy to cook in, a favourite gathering place and a place of beauty. 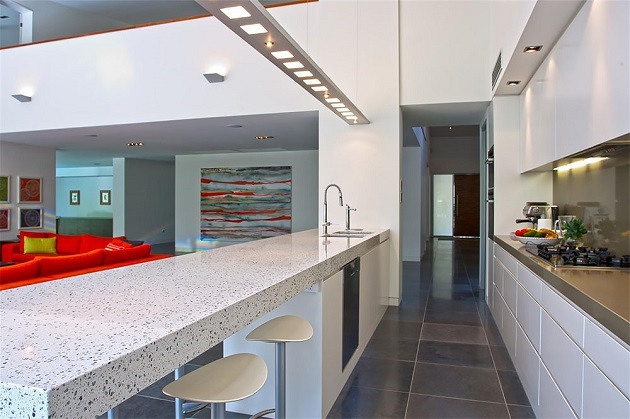 A well designed kitchen can be the crowning centrepiece of your home and an investment in your home’s resale value. Custom, or built-in, joinery adds architectural detail to homes and provides contemporary furniture and storage spaces which specifically fits into the architecture. 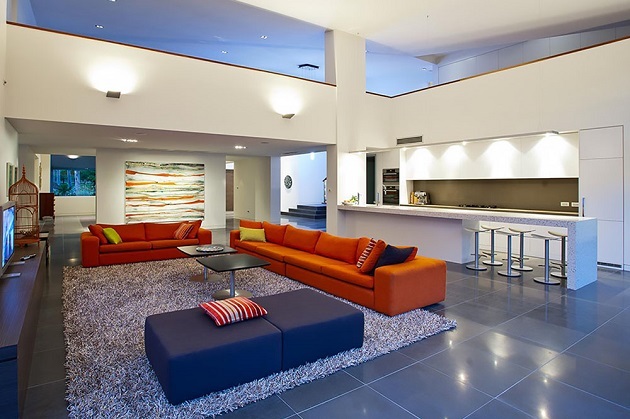 In an architecturally designed home it is often the furnishings that can make or break the perceived quality of the final space. Joinery or furniture designed specifically for the space can uphold the integrity, vision and strength of the original design and provide the finishing touch to a beautiful building. Fireplaces, whether for warmth or ambience, create a special place within any home to gather, relax and unwind. 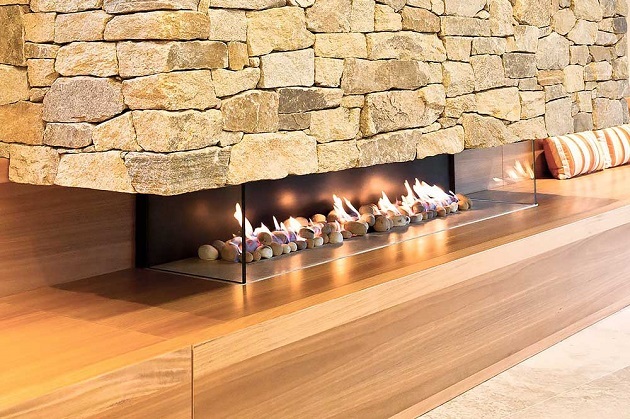 We individually design each fireplace to suit our client’s needs and enjoy working with natural materials such as stones and timbers to create a feeling of warmth and a timeless nature to the design. 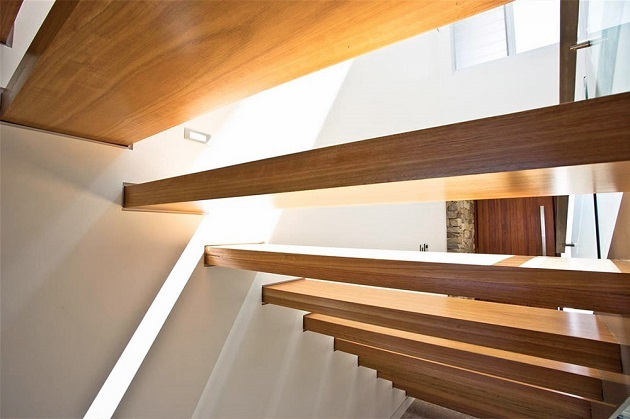 Stairs are often located in highly visible parts of the home and can provide a great opportunity to create a real showpiece, alternatively they may be a little more inconspicuous and simply a functional link between two floors. Whichever the circumstance selecting the right kind of treads and finish can be very important; open treads allow light and breeze through whereas closed treads allow for storage under or the concealment of unsightly spaces. Treads that match the materials of the floors adjacent meld more seamlessly into the overall design whereas featuring a material could bring interest or an opportunity to tie in with another design element.